The MC2152 150 wpc stereo amplifier with carbon fiber side panels, and the new C70 full-featured preamplifier are the best tube components McIntosh has ever designed. 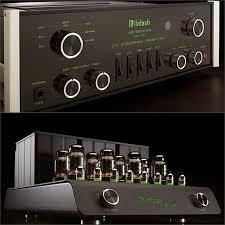 Learn about them and the other latest components from McIntosh, the world audio standard! 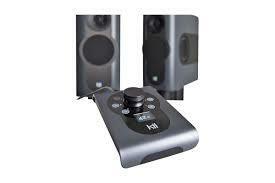 Compact DSP Controlled Full Range Speaker System The future is here. Simply connect your analog sources, CD player, server, streamer, TV or set-top box to enjoy a breathtakingly audiophile full-range system in a stunningly small footprint. I always have exceptional used and demo components at very attractive prices. Currently, that includes McIntosh MC601 monobloc amplifiers, Thiel CS3.6 speakers, M-Style Eleganza speakers, Yamaha AX-592 Integrated Amplifier, and more. Call me at (906)-226-2828.